Customer experience is a relatively new discipline, but one which is rapidly emerging as the key future battleground for B2B brands. Interest in the topic is being driven in the consumer sector by the parallel advances in consumer behaviour and digital technology, which are transforming the style and nature of engagement. But in B2B, its scope and relevance are not purely restricted to the narrow field of digital engagement immediately around the purchase: it affects the entire sales cycle, before need has even been identified, and long after the cheque has been signed. As we know, this is likely to be a matter of years, touching many different individuals. Complex is an understatement! So what does great CX look like? That’s a question we sought to answer in a recent report we produced at B2B Marketing to align with our autumn CXcellence conference. Having polled both recent buyers of business products or services, and B2B marketers themselves, we are able to codify what a great CX plan should look like, and more importantly, how marketers should set about achieving it. We’ve broken this down into eight steps or areas of activity, which are broadly (but not necessarily) chronological. Only half of B2B marketers have mapped the experience that their customers will have with their organisation, and only one in five have actually determined what it should look like at each stage. This means most brands have no idea what customers are experiencing at different points in this complex service, and whether this is good, bad or downright ugly. If you don’t know the extent of the problem, or where it’s most acute, you cant hope to solve it, and create a great and resonant CX. Therefore, the first step is to map and diagnose. Rarely, if ever, is CX treated holistically, let alone strategically, by B2B companies. To do it well, organisations need to understand the value that excellence will deliver across the entire customer journey, and particularly, where specific focuses of effort will drive business value. The most obvious area is around customer churn and renewal, but theses are far from the only ways benefits. Any plan must include ambitious but achievable objectives to drive a demonstrable change. Marketers regard failure to centralise ownership of CX as the number one obstacle to doing it effectively. Even where it is centrally owned, it’s not always by the right department. In our opinion, it should be the marketing team which leads on CX, as they are only function within the business with the capability or mindset to see the entire customer journey. Only half of companies actually regularly measure CX – not only should it be measured across the entire journey, but it should also be reported to the board. Of the companies that do measure it, the most popular metric is Customer Satisfaction ratings, second is NPS and third is complaint logs. These are valuable, but do not tell the whole story – data from the early stages of the buyer journey must also be included. Great customer experience is impossible if staff at every level and every touch point aren’t on board. Hence the central challenge of CX is arguably internal engagement. This is a long process – there aren’t really any shortcuts. And to do it right, you need not just the buy-in, but the active participation and advocacy of the board. There’s been a lot of hype about influencer marketing recently, but the results to this survey showed how important they are in the buying process in B2B. Marketers need to map their external influencer network and engage with them on mutually relevant and beneficial terms… not just seeking to buy them off. More than three quarters of buyers already have a strong process for one brand or service provider at the start of their buyer journey, largely through direct or experience of working with them, or previous experience of their organisation working with them. The vast majority of these actually went on to choose this supplier. To a great extent, therefore, the challenge is largely about retention, in the broadest sense, and this is due to good CX, which in turn is built on excellent long term relationships, extending beyond the traditional commercial lifespan of a contract or deal. The level of cynicism surrounding customer feedback is enormous – B2B brands need to urgently challenge the presumption that vendors don’t care and aren’t listening. Marketers need to bridge the chasm between pre-sale promises and the reality of delivery, and they need to overcompensate in their ongoing customer dialogue to explain ‘why’ when feedback cannot be acted on. For a B2B brand, framing your marketing, sales and customer service activity through the single, all encompassing lense of CX will not be easy, nor will moving it to a place where it’s a genuine point of difference for your organisation or drives business value. But buyers expectations are changing, and the poor or disconnected experiences that B2B brands could get away with five years ago are increasingly out of step in a world defined by Amazon’s seemingly intuitive and flexible approach. Right now, embracing CX, and adopting something like the approach outlined above, can still put you ahead of the curve, and give you competitive advantage. That might not be true next year. 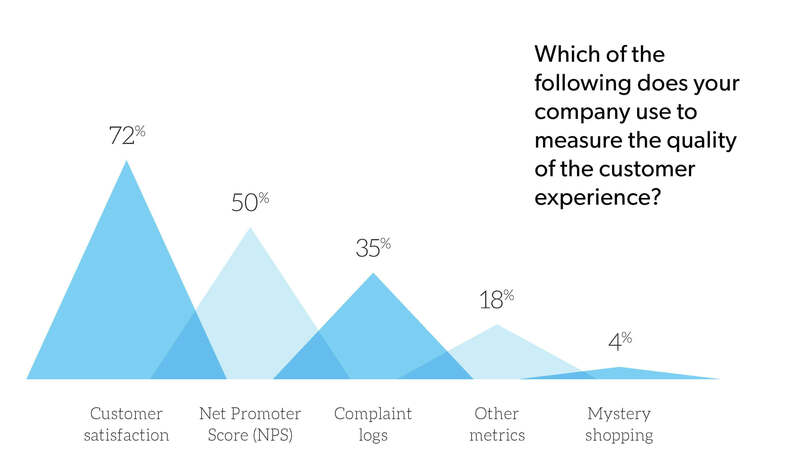 When does customer experience matter most? And what can you do to deliver an exceptional customer experience throughout the customer journey? We asked the people who really count: B2B buyers. 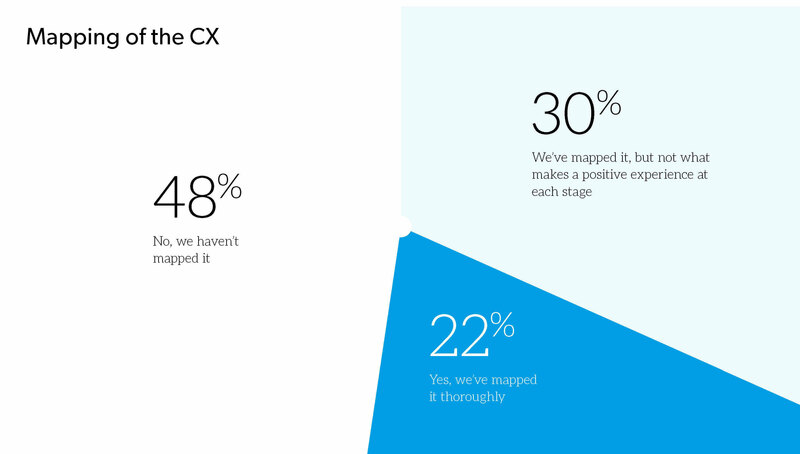 When CX matters most in the buyer journey. 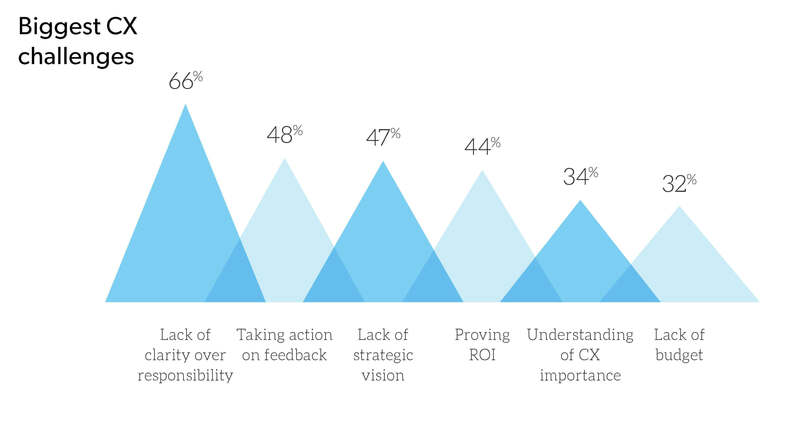 Which CX factors are the most influential in buyers' decision-making.